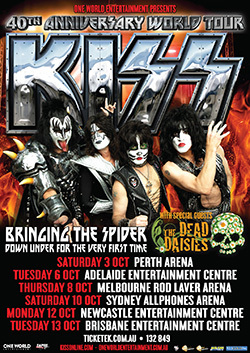 NOTE: KISS Army Australia has no connection at all to ticketing and venues etc. Please contact your ticket agency and/or venue for ANY questions. 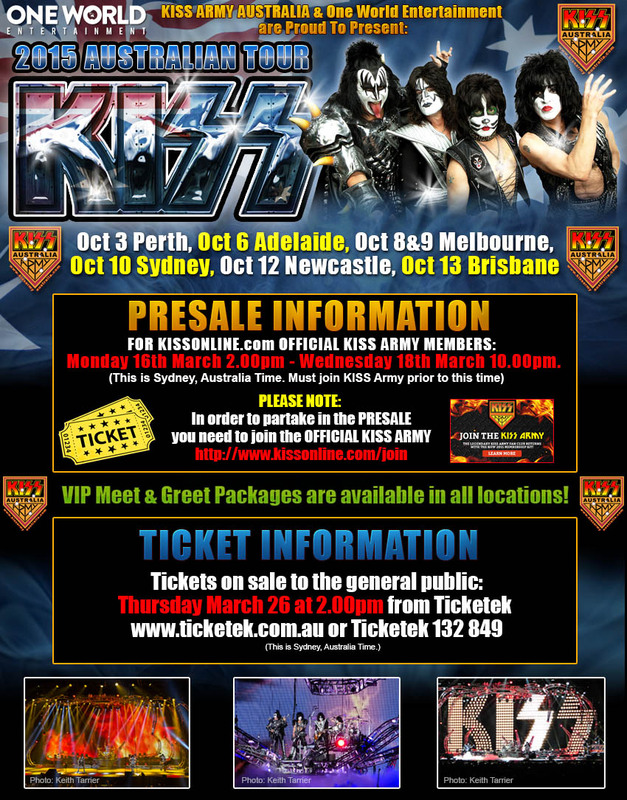 ** KISS ARMY AUSTRALIA is only providing this information for fans as a free service. 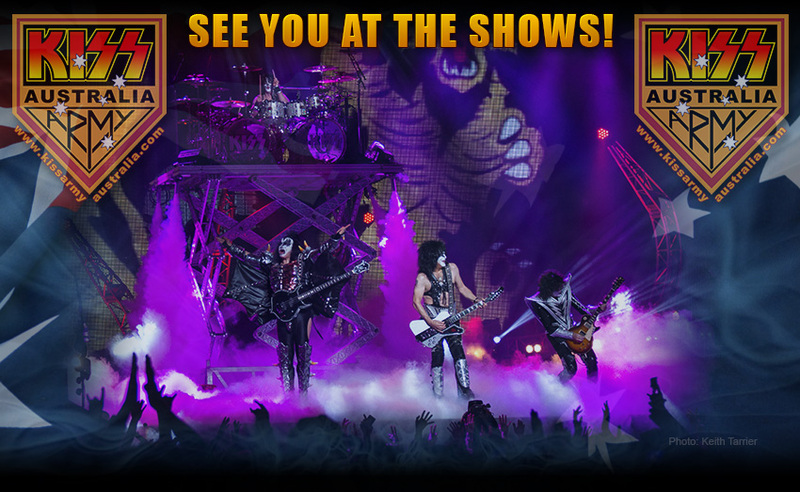 We are no way connected with organizing the tour, the venues, or have any contact with KISS or their management. 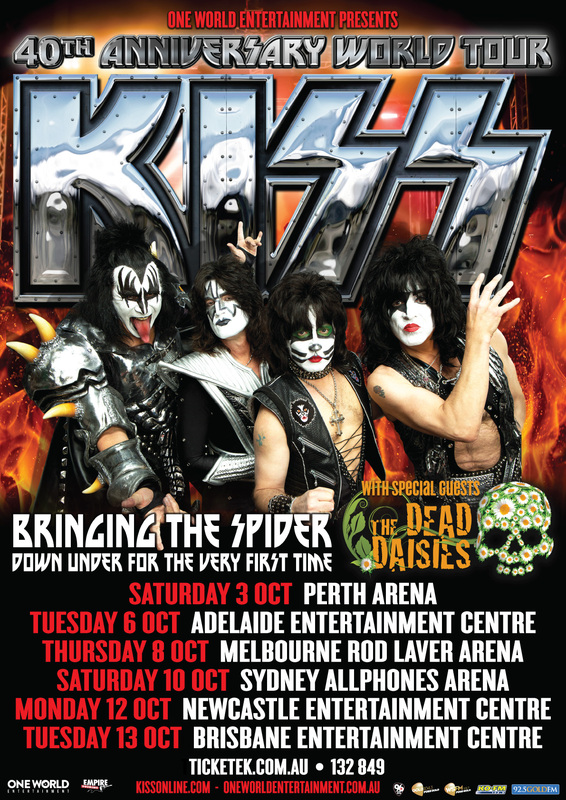 www.oneworldentertainment.com.au , www.ticketek.com.au or the venues for all up to date tour information and enquiries.